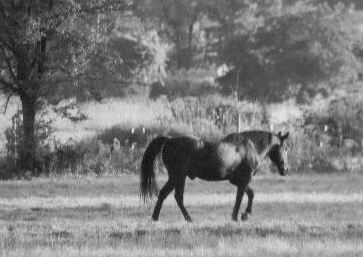 Tuesday, April 20th, I watched my 38 year old horse Royal in the pasture, stiffly walking around. My heart felt sad. His one hind leg is giving him trouble, causing pain from arthritis and muscle spasms in the hip, making it difficult for him get up and sometimes merely walk. He no longer seems his happy self. So, I made a decision that would kill him or make him feel better. I've recently started to learn about homeopathy and decided try giving him Arnica. I went into the pasture, and gave him four tablets. Then watched for side effects. He's on Pergolide for cushings. Within 10 minutes I saw an improvement. He's was more comfortable. I continued with 3 more doses that day, and again four times the next. Starting Thursday, he's been getting four tablets twice a day. 5 AM and 5 PM. I will do this until Tuesday, April 27th...one week. I've seen a marked improvement, not only in his walking ability, but his whole attitude. He's happier and brighter, somewhat like when he was younger. When I gave him Bute, it did not have this affect on him and I worried about his stomach also with the Bute. Words cannot explain how thrilled I am the Arnica is working. He looks 10 years younger. Thank-you Kathy Crone/Pipecreek Farms & B&B for introducing me to Homeopathy! Remember though, this is not a replacement for your veterinarian...this is an alternative and or, additional source to make your Equine friend more comfortable. For Royal it worked. 102 and over...time to call the vet. Normal heart rate....38-40 beats per min. May exceed 180 beats during exercise.